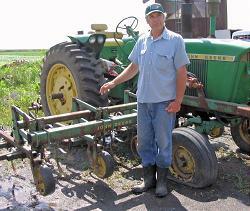 This page is for general farming articles and information. A celebration of abundance took place at the annual Seed Swap and Scion Exchange held at MOFGA in March. Because participants did not have to pay to attend the event, and because people offered all the seed, scions and treats free, the swap feel particularly joyful. Plant material itself offers an incredible example of how the principle of abundance can function. While caring for and pruning your trees, you generate scionwood to share. Abundance generates more abundance. Last month I had the privilege of attending the Hazon Food Conference in Falls Village, Connecticut, an annual gathering of people involved in the “New Jewish Food Movement” interested in growing a resilient food system rooted in religious ethics. Although many farmers might not share my voracious appetite for holy texts, I believe Biblical exploration offers us all a window into an agricultural life that sustained many generations. Superstitious windjammer sailors once believed that mentioning the word “pigs” was bad luck, but for some Duroc Jerseys at Glen Ellen, California, one old-time windjammer sailor was very good luck indeed. Jack London’s “Pig Palace” was one of the final high points of his farming career. The final round of treaties that the United States signed with the Indian tribes of the West in 1868 provided the tribes with government farmers to help them learn the white man’s agricultural techniques. The treaties also provided frontiersman and former Missouri farm boy Finn Burnett with a job that could feed his family while he helped teach the Indians to feed themselves. Moray: First Agricultural Experiment Station? When agronomists want a new potato variety, they go to Peru – and with good reason. The Indian peoples of the Andes, culminating in the Inca Empire, had developed 3,000 types of edible potatoes and 150 types of corn. No one is sure how they did it, but one plausible suggestion is that they did whatever they did at Moray. I can imagine some future brides poring over wedding magazines – delighting in dresses, shoes and flowers. I pored over seed catalogs – oohing and aahing over heirloom tomatoes and watermelon varieties. My husband, Andy, and I decided to grow and cook the majority of the food for our nearly 100 wedding guests. It was an incredibly meaningful and rewarding experience, and dinner was delicious. The management of our food system – how we grow, package, transport and distribute our food – influences more than just our next meal. The way we produce our food has radically changed in the past 50 years, and decisions being made in food production and agriculture are intricately connected to the public health, development, environmental quality and economic vitality of our communities. "It's surprising just how often common assumptions – by both scientists and the media – are wrong," says Howard S. Friedman, distinguished professor of psychology at the University of California-Riverside, in the March 12, 2011, issue of ScienceDaily. Consider the belief that feeding grain to people, not cattle, means more people can be fed. Is this belief so rational and mathematically provable that “Yes” is the only possible answer? According to the U.S. Bureau of Labor Statistics, the agricultural industry has the highest rate of occupational fatalities, about 32 per 100,000 employed people or eight times the national average. And tractor rollovers are the deadliest type of injury incident on farms. Several thousand years passed between the days when cavemen became gatherers as well as hunters and when huge farming projects followed the irrigation in Mesopotamia around the Tigris and Euphrates rivers, and when the Nile inundated Africa. The exact process is subject to interpretation due to a lack of written history, but farming on a large scale is a lot older than the Pyramids (built around 3,200 B.C.). A hundred years after his death, monuments to Franklin Hiram King dot the landscapes of farm country all over North America, even in places where his name is unknown or has long been forgotten. King invented the cylindrical silo for the same reason that he wrote the book some say launched the organic agricultural movement, Farmers of Forty Centuries. Tide Mill Farm is remarkable in a myriad of ways. It is most certainly a family farm – an enduring homestead that has been passed down and worked by the same family since 1765, after Robert Bell, at age 14 or 15, arrived from Scotland in the still mostly wild coastal territory of the native Passamaquoddy that today is part of Washington County near the easternmost point in the United States. Klaas and Mary-Howell Martens of The Martens Farm and Lakeview Organic Grain (www.lakevieworganicgrain.com) in Penn Yan, N.Y., were the keynote speakers at MOFGA’s 2009 Spring Growth Conference. They have been farming organically since the early ‘90s and were the first in their county to do so. They now farm 1400 acres of organic corn, soy, spelt, barley, wheat, triticale, oats, rye, red kidney beans (sold to Eden Foods), cabbage for sauerkraut, and hay. The Harrisons are typical of the growing number of career changing new farmers populating small farms in Maine. Career changers, usually in their 40s and 50s, bring to the farm expertise from careers in teaching, business and even medicine as well as the financial assets they generated – but not necessarily farm experience. Jim Gerritsen of Wood Prairie Farm in Bridgewater, Maine, and Andrea Berry of Hope Seeds in Glassville, New Brunswick, presented a talk about seed and potato seed tuber production at the 2008 Farmer-to-Farmer Conference in Bar Harbor. Local has replaced organic as the most dynamic sector of the retail food market. Sales of local foods grew from $4 billion in 2002 to $5 billion in 2007 and are projected to reach $11 billion by 2011. Organic food sales are still larger, approaching $20 billion, but organic foods sales seem to be slowing while sales of local foods are accelerating. At a conference on grain growing in January 2008, I overheard several dairy farmers talking about “Henry's press.” Being curious, I followed up with Henry – Henry Perkins, that is – who lives in Albion. Sure enough, he had purchased an oil press, or “extruder,” and was gearing up to grow soybeans and sunflowers in 2008 so that he could press oil from them. One August morning a few months before her death, Betty Weir spoke to me emphatically about the importance of young people learning to grow food and about what she had accomplished independently over her lifetime. In June 2008, I represented NOFA at “Cultivate the Future,” the 16th Organic World Congress and General Assembly of the International Federation of Organic Agriculture Movements (IFOAM), in Italy. Thinking about starting a farm? Looking for good land, good markets that are reasonably close, a little (or a lot) of start-up capital, a place to live, a way to pay bills in the off-season, a community of organic farmers, equipment that isn’t outrageously expensive or in disrepair? • In the last two federal agricultural censuses, the number of farmers in Maine increased. • In the same period, the amount of Maine farmland in production increased. • Maine has the fifth youngest farmer population in the nation. Russ Libby, MOFGA’s executive director, opened MOFGA’s 2008 Spring Growth Conference in March by asking, “What are the implications of changing energy prices and changing climate on Maine farmers?” He acknowledged Maine Rural Partners and the Risk Management Agency for underwriting the cost of the conference. Vertical Farms: the Agriculture of the Future? Dr. Dickson Despommier and his students at Columbia University’s Mailman School of Public Health propose a multi-story, intensely managed, indoor farm producing traditional greenhouse crops as well as pigs and fowl year-round. The Working Horse & Oxen Association (WHOA) represents more than the interaction between human and draft animal; it also represents a way of life. The association demonstrates, through the use of affordable, low-tech harvesting, how draft animals can partner with small farmers to accomplish many farm tasks using traditional techniques, low impact practices, and non-fossil fueled equipment. If anyone ever needs to travel across Maine in the middle of a blizzard, just call your nearest MOFGA farmer. Over 60 made it through a foot of snow to the 2001 Spring Growth Conference on March 10 in Unity. Apparently we’re getting used to marginal weather based on the frequency with which it arrived this winter. Why travel on a snowy day? To learn from others, of course. Spring Growth featured Joel Salatin from Polyface Farm in Virginia, Jack Lazor from Butterworks Farm in Vermont, and our own Jim Gerritsen from Bridgewater, Maine. In the last few decades, new, more explicitly values-driven (in a way, “values added”) forms of agriculture have been growing, forms very well matched to the local pattern, scale and cultural heritage of New England. These forms overlap with one another philosophically and, in structure and scale, physically. In many ways they are coalescing into a single “values-driven” movement. I’m an organic farm inspector currently living in a city (Portland, Oregon) where I also help to manage a thriving farmers’ market. I’ve lived in the country most of my adult life, have been a farm worker and have also farmed commercially on a small scale. Because I have one foot in the city and the other in farm country, I’m especially convinced of the need for city and suburban people – who are the vast majority of North America’s population – to know more about farms and farming.